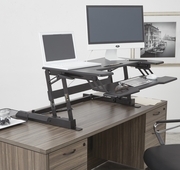 A new option in standing desk technology, this sit to stand desk converter makes it easy to create a stand up desk out of any traditional table top work surface. Dual handles and pneumatic lift let you easily move between 8 positions over a 10" height adjustment range to find your comfort zone, while a built in keyboard tray and tablet holder make it easier to access all the tools you need to get the job done. 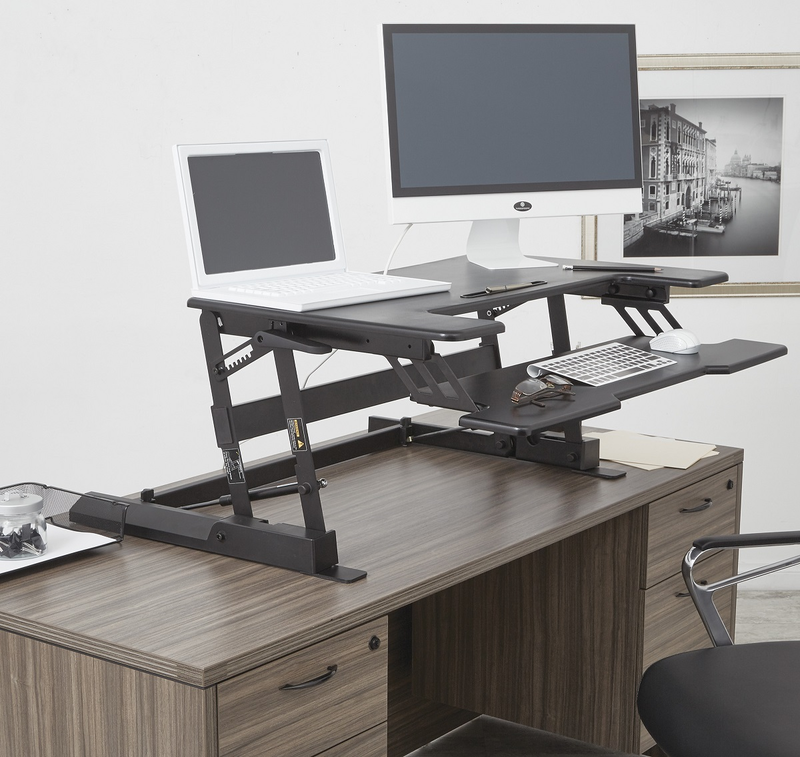 Upgrade your workspace with the OSP Furniture Multiposition Desk Riser.